If I were Gloria Macapagal-Arroyo (GMA), I would not fly and go to another country to be in hiding. I will face whatever charges will be filed against me. If I was able to save the whole country from world financial crisis (as recognized by the IMF and World Bank) during my administration, I’m pretty sure I can also handle whatever charges will be filed against me. This is because if I fly and would not come back, I don’t want history to judge me the cruelest verdict that not only was I corrupt but also gutless and cowardly. I want history to remember me that during the time when almost all high-profile countries were suffering from economic crises, I was the great power who saved the country from economic collapse. If I were President Benigno Aquino Jr. (Noynoy), I will not focus too much importance, valuable time and resources on the former president. I will not make GMA my most convenient excuse for my continuing failure to meet the rising expectations of the masses who swallowed the promises of change. I will not allow my presidency to create the image of always blaming and accusing the past administration for everything that goes wrong in the present. So what if GMA leaves and doesn’t come back? Actually, if she doesn’t come back, it will be the clearest form of guilt and I will have the focus to do what’s supposed to be done. I will instead work on matters of much importance like improving our economy and uplifting the lives of the poor. 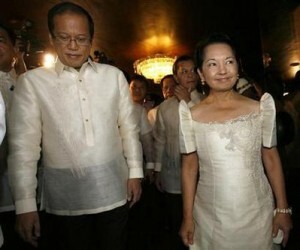 The problem is… I’m not Gloria neither Noynoy! Itong dalawang ‘to, mga wala sa hulog. hey thanks for reading… i know what we both want is a more decent leader… peace!